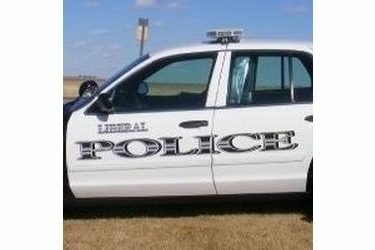 The Liberal Police Department, will be participating in the Kansas Thanksgiving Traffic Enforcement Campaign, from Monday, November 25 through Sunday, December 1. A grant from the Kansas Department of Transportation (KDOT) will underwrite overtime traffic enforcement that specifically targets impaired drivers as well as improperly restrained vehicle occupants. The Thanksgiving holiday weekend (Wednesday-Sunday) frequently outranks the other holidays in Kansas in number of driver impairment crashes. On average, across Kansas, five persons are killed or injured in alcohol/drug-related crashes each day. According to KDOT, which tracks all crashes in the state, vehicle occupants in alcohol- or other drug-related crashes are over 2 ½ times more likely to be injured or killed than those involved in crashes where alcohol or other drugs were not a factor. Also responsible for needless death and maiming is the simple failure by many to buckle up. Twice as many Kansans who die from a crash are unrestrained as are restrained. Even worse is the fact that injuries suffered by those who are unbuckled are likely to be much more severe and disabling than those suffered by those who are buckled in. This applies regardless of speed, and whether the occurrence is on City Street, county road, or highway.